I have to say, I have a love/hate relationship with life insurance. When it’s done right, life insurance is one of the best ways to ensure your family’s financial security. But it’s often sold by companies and insurance agents who don’t have your best interests at heart, which all too often ends with you paying too much for the wrong type of coverage. But it doesn’t have to be like that. Life insurance can be very simple, and most of the time it can provide a lot of protection without much cost. And make no mistake, if you have kids you almost certainly need some amount of life insurance. Because life insurance is the tool that makes sure there will always be financial resources available for them, no matter what. This guide will help you get the right type and the right amount of life insurance, without paying more than you have to. And no, I don’t sell life insurance so there’s no incentive for me to push it on you. My only goal is to help you get what you need. Part 1: Do you need life insurance? Part 2: How much life insurance do you need? 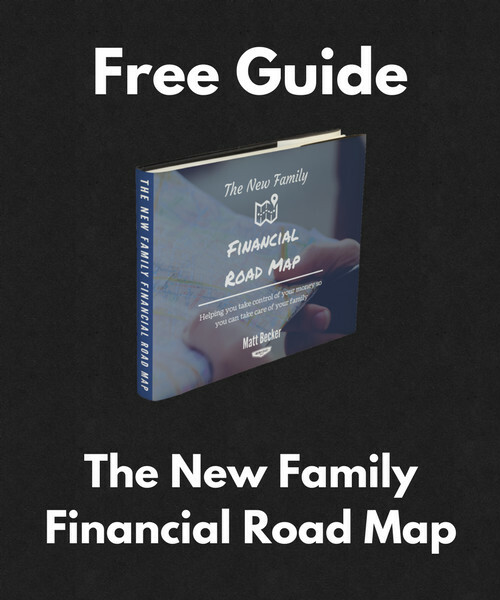 Grab the PDF: This guide is long and comprehensive, so you can click here if you’d like to download it as a PDF and work through it on your own time. The idea behind life insurance is pretty simple. If you die, your life insurance will pay a predetermined amount of money to the person or people you designate as the beneficiaries of your policy. For example, if I have a $1,000,000 policy and name my wife as the beneficiary, she will receive $1,000,000 when I die, as long as the policy is still in place. You can also name your kids as beneficiaries, friends, other family members, and even a living trust. 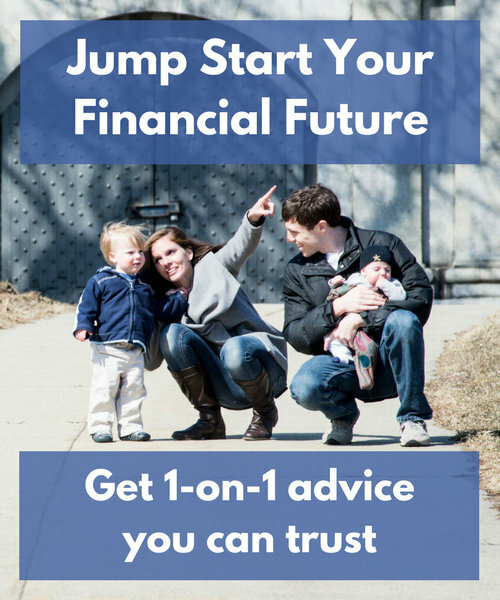 Does anyone rely on you for financial support? Do you have enough money in savings to provide that financial support? 1. Does anyone rely on you for financial support? If there’s anyone who relies on you for financial support, life insurance would provide the financial resources to continue that support even after your death. So, that’s the first test. If you have someone who relies on you for financial support, there’s a good chance that life insurance would be a helpful form of protection. But there’s still one more question to answer. 2. Do you have enough money in savings to provide that financial support? If you already have enough money in savings to provide the necessary financial support, then life insurance isn’t needed. You can simply set up your estate plan to pass that savings on to the right people and avoid the extra cost of a life insurance policy. Of course, most people with a young and growing family aren’t in that situation. Young children in particular have many years of financial dependence ahead of them, and most parents haven’t had anywhere near enough time at that point in their lives to build the savings needed to support it. But if your children are older and you’ve had more time to build savings, you may find that the money you have in the bank is enough. In that case, life insurance wouldn’t be necessary. While answering those two questions is generally pretty straightforward, people do tend to get tripped up when it comes to stay-at-home parents. Because while a stay-at-home parent might not earn an income, the things they do every day would cost money to replace and life insurance would make that adjustment a lot easier. Now, that $112,962 is just an average and doesn’t necessarily reflect your family’s specific situation. And a stay-at-home parent does a lot of things that WOULDN’T be able to be replaced with paid help, so I wouldn’t take that number as the baseline of your life insurance need. But it’s pretty clear that a stay-at-home parent has a lot of value that could cost a lot of money to replace, and life insurance could help your family with those costs. Adjustment period – The death of any parent would make for some difficult adjustments, both financially and emotionally. Life insurance would give your family the time and flexibility to make those adjustments without worrying about money running out. Childcare – The main job of a stay-at-home parent is typically taking care of the kids. And as anyone who’s ever had kids knows well, that is a LOT of work! Replacing this job would likely require either paying for childcare or having the surviving parent reduce his or her work hours, either of which would cost money. Transportation – Kids have school, doctors appointments, play dates, soccer practice, dance class, and more. Until they can drive themselves (which is a scary enough thought on its own! ), someone is going to have to get them there. House work – Cooking. Cleaning. Laundry. Dishes. Grocery shopping. There’s a lot of work that goes into maintaining a home and keeping everyone well-fed, and hiring some help could be a huge stress-reliever. Debts – Certain debts, like a mortgage, might be jointly held by you and your spouse. Those debts may be more difficult to pay off if you are no longer around and life insurance could provide the money to either pay off the debt completely or at least make the payments more manageable. College and other long-term goals – While this may not fall into the “need” category, having some life insurance that is earmarked for college, retirement, or other long-term goals might take some financial pressure off your surviving spouse, giving him or her more freedom to focus on your family’s more immediate needs. The bottom line is that most stay-at-home parents need life insurance. That money would go a long way towards helping your family make whatever adjustments it needed to make. If you’ve decided that you do need life insurance, the next big question is how much coverage you need. This is a tough question answer. Most life insurance agents will recommend the maximum amount of life insurance you qualify for, since that’s how they maximize their commission. And most online tools are oversimplified and fail to account for all the specifics of your personal situation. You deserve a real answer tailored to your specific needs, and that’s exactly what you’ll get here. 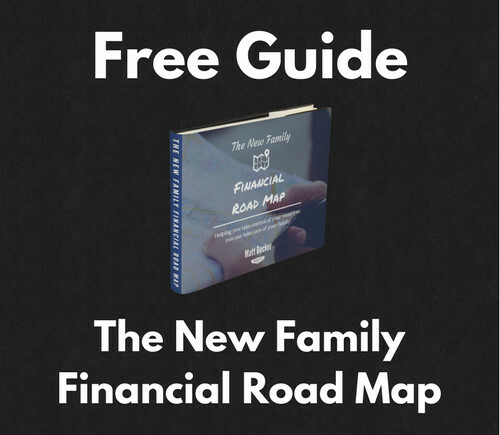 I’m going to share the same spreadsheet and the same process I use for determining my clients’ life insurance needs. It’s a fairly involved process, but again that’s because it’s designed to account for all of your personal variables. Here’s the spreadsheet you’ll be using to go through this process: Life Insurance Needs Planner. Click File in the top menu. Click Make a copy… to use it in Google Sheets. Click Download as to download it in Excel. Once you have a copy, you can update all the Parent 1 and Parent 2 fields to show your actual names. This will make it easier to keep track of everything. If you are only filling this out for one parent, you can ignore all the Parent 2 fields. A big part of the life insurance need for most families comes from the need to continue supporting expenses after losing some or all of your income. So the first step is simply capturing your current income and expenses, which will serve as the baseline for determining your insurance need. I’m including instructions for two different ways of doing this: a Simple version and a Detailed version. The Simple version is just that, simple. It won’t be quite as precise, but it should get you close and it will take a lot less time to do. The Detailed version allows you to dig into all the details of how your budget might change in various scenarios. This gives you more flexibility to capture your precise personal need, but it will take longer to work through everything. It’s up to you which one you use. Here are instructions for both. Navigate to the Income and Expenses (Simple) sheet of your Life Insurance Needs Planner. Leave the gray area alone, as that will fill in automatically as you enter numbers in the rest of the spreadsheet. For now, you are only concerned with the Current column. You can leave the Parent 1 Passes and Parent 2 Passes columns for next steps. In the Monthly Income section, enter the NET monthly take-home pay for both parents. This is the amount you receive after all your insurance, 401(k) contributions, and other deductions are taken out. Then you can enter any savings contributions in the Monthly Savings section, and finally enter your Total Monthly Expenses. If you don’t know how much you spend each month, I would encourage you to check out You Need a Budget or Mint, both of which can show you exactly where your money is going. When you are finished entering everything, double-check the Summary numbers at the top to make sure that they are adding up correctly. Navigate to the Income and Expenses (Detailed) sheet of your Life Insurance Needs Planner. Leave the gray area alone, as that will fill in automatically as you enter numbers in the rest of the spreadsheet. For now, you are only concerned with the Current Cash Flow column. You can leave the Parent 1 Passes and Parent 2 Passes columns for next steps. In the Monthly Income section, enter the GROSS monthly income for both parents. This is the amount you are paid BEFORE any deductions are taken out. In the Pre-Tax Deductions section, enter all the deductions that are taken out of each of your paychecks. Make sure to turn these into monthly numbers if you are paid twice per month or every two weeks. In the Taxes section, enter all the taxes that are taken out of each of your paychecks. Again, make sure to turn these into monthly numbers if necessary. In the Monthly Savings section, enter all the regular contributions you make to savings accounts each month. Finally, you can enter all of your expenses. Feel free to add categories as you see fit and to ignore categories that aren’t relevant to you. If you don’t know how much you spend each month, I would encourage you to check out You Need a Budget or Mint, both of which can show you exactly where your money is going. Now that you have your current income and expenses detailed, you need to project how they might change in the case that either parent dies. This will show you how much of a gap you’d have to cover, which will be a big part of your life insurance need. We will be doing this in Columns C and D of the Income and Expenses worksheet. And again, there’s both a Simple and a Detailed way to do it. In the Income and Expenses (Simple) sheet of your Life Insurance Needs Planner, all you need to do is copy and paste the current Net Pay numbers into the appropriate columns. That is, copy and paste the Parent 2 Net Pay number into the Parent 1 Passes column, and vice-versa, since that’s the income that will continue. This is where things start getting a lot more involved, and also more precise. Because this is the part of the process where you can project how your taxes and other deductions might change, and in some cases those changes might be significant. First, copy the Gross Income numbers to the appropriate columns. That is, copy and paste the Parent 2 Gross Income number into the Parent 1 Passes column, and vice-versa, since that’s the income that will continue. 401(k)/403(b)/457(b) – You might want to adjust your contributions up or down based on a new assessment of your needs. You can use this tool to estimate your retirement savings need. Health and dental insurance – You might be newly enrolling in your employer’s health insurance, or switching to a different plan. You can ask your employer for cost estimates here. Life and disability insurance – Your needs here could certainly be changing. Disability insurance in particular might be more valuable if your family is completely dependent upon your income. In the Taxes section, you can do some pretty detailed research to determine how those amounts would change going forward. And the good news is that they would probably go down, leaving more money to pay your bills and therefore decreasing your need for life insurance. The best tool I’ve found for projecting your paycheck is this one from PaycheckCity, which has a calculator for both salaried workers and hourly workers. I’ll lead you through the steps for a salaried worker, but the steps would largely be same the same for an hourly worker. On the PaycheckCity website, click on the Salary Calculator link. Update the Check Date field to 1/1 of the current year. This allows you to project what your paycheck would look like over a full year. Update the State for Withholding field to your home state. Enter your Gross Pay as the amount you’re paid each paycheck, before any deductions are taken out, and mark Gross Pay Type as Pay Per Period. Alternatively, enter your annual Gross Pay and mark Gross Pay Type as Annually. Leave your Gross Salary YTD at 0, since you’re starting at 1/1. Enter your Pay Frequency. This is how often you receive a paycheck. Set the Federal Filing Status to Single, since you are projecting your paycheck in the event that you become a single parent. Use their W-4 tool to determine your # of Federal Allowances. Remember to fill it out as if you’re a single parent. The rest of the fields can likely be left as is. If you have additional withholding, possibly because you earn money on the side and want to pay the taxes for it through your paycheck, you can enter that value in the Additional Federal Withholding field. The State and Local Information section will look different for each state, so I can’t provide much guidance here. You state’s Department of Revenue website should have helpful information if you get stuck. The Voluntary Deduction Section allows you to enter deductions that would be taken out of your paycheck. This includes 401(k) contributions, insurance premiums, FSA contributions, and the like. These are tax-deductible and will therefore reduce your tax owed. Click the Calculate button at the bottom. This brings you to a page that outlines your projected paycheck. The Net Pay amount is your projected take-home pay per paycheck. You can look over the numbers to make sure everything looks accurate. Copy those numbers over to the Income and Expenses (Detailed) worksheet of your Life Insurance Needs Planner. Make sure you turn them into monthly numbers so that everything calculates properly. While it’s impossible to know exactly how your needs would change, it’s worth giving a little thought to how your new circumstances might impact some of your major expenses. Whether you’re using the Simple or Detailed process, here are some potential changes worth considering. This is often a big piece of the life insurance need for young parents, especially stay-at-home parents. Unless the other parent plans on quitting his or her job, which is unlikely for obvious reasons, this would be a big new expense. You can call a few local facilities to get a sense of the cost, or you can use a resource like Child Care Aware. My recommendation would be to estimate on the higher end in order to make sure you would have the money you need. This expense may disappear if you include a lump sum to pay off your mortgage. But remember that even if you go that route, there will still be costs for insurance, taxes, and maintenance. You could also consider the possibility of a move and what the cost of a new place might be. There are a lot of variables here and I wouldn’t spend a ton of time trying to get everything exactly right. What I would do is try to get a ballpark sense of what it might cost. If the surviving parent would have access to employer-provided health insurance, this should be pretty simple. You can either review your most recent open enrollment forms or ask your employer to find out the cost. If the surviving parent wouldn’t have access to employer-provided health insurance, you can use the tools offered at healthcare.gov to estimate the cost. Either way, here’s a post that may help you think about how you might make this decision: How I Choose Health Insurance for My Family. 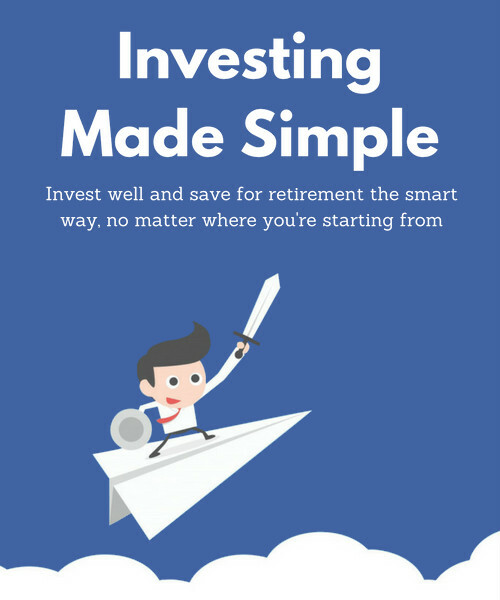 This tool will help you re-evaluate your retirement savings need and figure out what this amount should be. This may go to $0 if you plan on including a lump sum for college costs. We’ll talk more about this possibility below. Otherwise, you can consider entering an amount you’d like to be saving for college. This tool can help you figure out what that amount should be. Any insurance for the deceased spouse will no longer be needed. That should decrease the cost here. In the Debts worksheet of your Life Insurance Needs Planner, list any debts you currently have. This includes your mortgage, credit card debts, student loans, auto loans, and any other money you owe. Put the current balance for each category in the appropriate Balance column of that worksheet. Joint debts can be entered for both parents. Only enter the amount of debt that you want your life insurance to pay off. For example, if you have a $250,000 mortgage but would want to continue payments on it instead of paying it off, you don’t need to enter it here. Likewise, if you DO intend on paying off an entire debt, you can remove the corresponding payment from the Income and Expenses worksheet, since you would no longer have it. For example, if you enter your $250,000 mortgage here because you would want to pay it off, you can go back to the Income and Expenses worksheet and remove your mortgage payment. If you have trouble accessing any of your debts online or finding a recent statement, you can pull a free copy of your credit report through annualcreditreport.com. This site is run by the Federal government and is the only place where you can truly get your credit report for free. Switch over the the appropriate Insurance Needed worksheet, depending on whether you used the Simple or Detailed approach to outlining your income and expenses. Some of this worksheet will already be populated with numbers from the other worksheets. For example, the Annual Income Needed is simply the gap between your projected income and your projected expenses, taken directly from your Income and Expenses work. The age of your children. The younger they are, the longer you’ll need to support them. The ability of the surviving parent to make up some or all of that gap, either by decreasing expenses, returning to work, or otherwise increasing income. I would estimate conservatively here, understanding that it may take a while for your family to transition to a new lifestyle. Anywhere from 5 to 25 years may be reasonable, depending on your personal situation and desires. Once you fill in that field, the TOTAL NEED field at the bottom of this worksheet will update to reflect the amount of life insurance needed to both provide that income and pay off the debts you entered in the previous step. But there are still a few more things to consider. Quick note: I’ve made some inflation and investment return assumptions in order to run these numbers, which you can see in the worksheet. They should be reasonable for most situations, but you are welcome to change them if you would like. Still in the Insurance Needed worksheet, you can move down to the Lump Sum Needed section. This is where you can enter additional amounts of money you’d like to have to cover big expenses. Here are the major types of expenses to consider here. This is taken from the Debts worksheet, so you don’t need to update this. Any changes should be made in the Debts worksheet instead. This is meant to account for any end-of-life costs, such as medical care, funeral and burial costs, and probate costs. This need can vary widely and is difficult to estimate. $20,000 is entered as the default, but you can certainly adjust it based on your needs and research. Keep in mind that adjusting it up or down $5,000-10,000 will do almost nothing to the actual cost of the life insurance, but could make a huge difference in the money you have available to handle your needs at the time of death. The Education row allows you to enter an amount you would like to leave for your children to pursue their education. The thinking is that if you are no longer around, it may be harder to pay for college and you don’t want that to handicap your children’s future. How much money would you want to provide for your children’s education? You can find some resources on answering that question for college in particular here: How Much Should You Be Saving for College? How much would this add to the cost of your life insurance? You can go here for some quick quotes to help you compare costs. Adding a significant amount of coverage could make a big difference in price. This is a step that’s left out by most life insurance calculators, and it’s a big one because it could significantly reduce the amount of life insurance you need. The truth is that a large portion of your life insurance need may be covered by Social Security. And unlike retirement Social Security benefits (which are actually more reliable than you might expect), this is money your family would begin receiving immediately so there’s not much risk that it won’t be there when you need it. You can figure out how much money your family would receive by pulling your Social Security statement through the SSA site. You will have to create an account if you don’t already have one. Once you’re in, you can click on the View Estimated Benefits link, which will show you all of the Social Security benefits you have earned to this point. For now we’ll focus on the Survivors section. Your child – The monthly amount that would be paid out to each of your children who is unmarried and under the age of 18. Your spouse who is caring for your child – The monthly amount that would be paid to your spouse as long as he or she remains unmarried and still has dependent children under the age of 16. Total family benefits – The maximum monthly amount that would be paid out across all eligible recipients. To determine how much money your family would receive, you can multiply the amount from #1 by the number of children you have, add the amount from #2 if you would have a surviving spouse who meets the requirements, and then cap your result by #3. You can then multiply that result by 12 to get the annual amount of money your family would receive and enter that annual amount in the SS Annual Estimate field of your Insurance Needed worksheet. Finally, you need to estimate your Years of SS. That is, based on the limits explained above, for how many years could your family expect to receive that money? Once both of these pieces of information are entered, the SS Insurance Equivalent row will populate. This is the amount of life insurance that your Social Security benefit represents. This amount will be subtracted from your other needs to determine your final insurance need. In the Savings Available field, you can include any savings you already have that are specifically allocated towards one of these insurance needs. In other words, you should only include money that is either specifically set aside for one of the needs your insurance is meant to cover, such as college savings, or money that is not needed for any other significant goal. 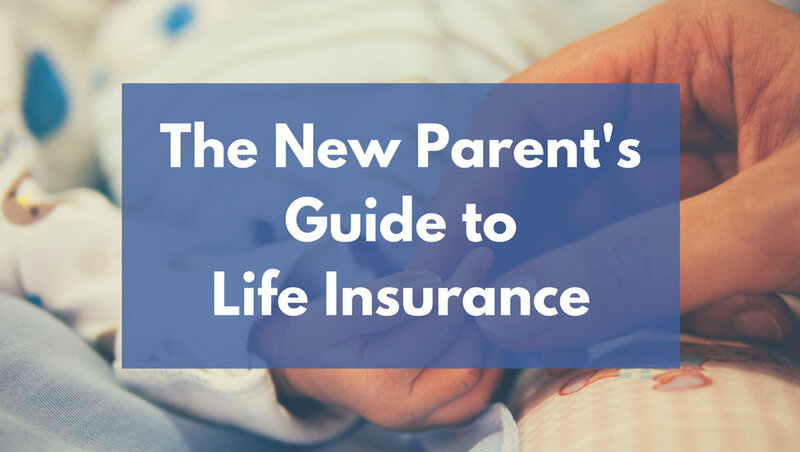 At this point, every row of the Insurance Needed worksheet will have been considered and you will have a TOTAL NEED for each parent. This is the amount of life insurance each parent should get based on all of the assumptions and calculations we’ve just gone through. Review this number and make sure it makes sense to you. If it does, congratulations! You now know how much life insurance you need. Quick note: Do you want real answers to your personal questions about life insurance and other financial issues? Click here to learn how to get them. Now that you know how much life insurance you need, there’s one more decision you have to make before you can go out and buy a policy: what type of life insurance should you get? The bad news here is that there are a number of different choices, which can make things a little confusing. The good news is that for young families, there’s one type of life insurance that will almost always be the best choice. Let’s look at the pros and cons of the different options available so that you can make the right choice for you and your family. Group life insurance is often available through your employer. You may get a certain amount of life insurance for free, with the option to pay for extra coverage. The free coverage you get is almost always worthwhile. There’s no medical exam, which makes it easy to get and for some people makes it the only affordable life insurance available. It can be cheaper than individual coverage, though this isn’t always that case. The amount you can get is limited and may not be enough. If you leave your job, or if your employer decides to stop offering the benefit, you lose your coverage. Both of those issues are solved by an individual life insurance policy that you buy on your own. With an individual life insurance policy, you can get as much coverage as you need and the policy is yours as long as you continue paying the premiums. For those reasons, individual life insurance is the more secure option of the two. You can certainly get some of each, and in some cases group life insurance may be all you can afford. But in terms of pure protection, an individual life insurance policy is better. The most basic form of life insurance is called term life insurance. You buy the coverage for a set number of years – typically 10-30 years – and once that period is over the insurance will end. On the flip side is permanent life insurance, which, as the name implies, is meant to last for your entire life. Permanent life insurance has several different varieties, but the two you’ll hear about the most are whole life insurance and universal life insurance. Cost – Permanent life insurance often costs 8-12x more than term life insurance for the same amount of coverage. Need – If you’re saving for the future, you eventually won’t need life insurance anymore since your children will be able to support themselves and you’ll be financially independent. Conversion – Most term life insurance policies allow you to convert some or all of your coverage to permanent life insurance down the line, so if the need truly arises you’ll be covered. Investment – Many insurance agents will sell whole life insurance as an investment, but the truth is that it’s almost always a bad investment. You’re better off putting your money elsewhere. If you have a child with special needs who will need lifelong financial support, permanent life insurance might be a good idea. And if you’re incredibly wealthy and would like to protect your children’s inheritance, permanent life insurance might make sense. Otherwise, term life insurance is almost always the right way to go. It’s much less expensive and provides the protection you need only as long as you actually need it. How long a term should you get? When considering how many years of life insurance to get, keep in mind that the main purpose of life insurance is to provide for people who are financially dependent upon you. For the most part that means your children, and the good news is that (hopefully!) your children will not be financially dependent upon you forever. Once they are out of school they should be able to find work and support themselves. Which means that the rule of thumb is to get life insurance with a long enough term to get your children through college. If you’re still planning on having more kids, you might want to factor those future children in as well. And if you’re supporting people other than your children, their needs obviously need to be considered as well. Many of my clients end up getting 20-30 year term life insurance policies. This is typically long enough to get their kids through college, with a few extra years to spare. And if they find that they no longer need the coverage a few years before the term expires, they can simply cancel the policy early. One other option you can consider is layering your life insurance. This involves buying a few different policies with different terms to account for the fact that your life insurance need should decrease over time. For example let’s say that you want 20 years of coverage and that you need a $1,000,000 policy right now. But given that your kids are growing up and you’re saving money along the way, you probably won’t need $1,000,000 of coverage for the full 20 years. That way you’d have $1,000,000 of coverage for the first 10 years and $500,000 of coverage for the next 10 years. And you’ll spend less on premiums because you’re not paying for the full $1,000,000 over 20 years. Figuring out how to structure this kind of layered life insurance takes some careful consideration, but when it’s done right it can save you money without sacrificing the necessary protection. Once you know how much life insurance you need and what type you want to get, the final step is actually going out and buying a policy. And unfortunately, this is almost never an enjoyable process. You need to figure out which insurance company to go through, submit an application, maybe do a phone interview, have a medical exam, wait a few months while the insurance company reviews everything, answer questions that come up, and finally, hopefully, get an offer you can live with. It’s a long and painful process. There’s no way to sugarcoat it. But it’s important, especially if you have young kids who depend on you. So, how can you get good life insurance at a reasonable price with as little hassle as possible? Here are five ways. Many companies offer life insurance as an employee benefit. This is the group insurance we talked about above. Usually you get a certain amount of coverage for free with the option to buy more, and sometimes you can buy it for your spouse as well. One of the biggest benefits of getting life insurance through work is that it’s easy. It’s usually as simple as deciding how much coverage you want, subject to whatever limits your employer has, and that’s it. It’s much, much easier than buying it on your own. And if you have a pre-existing medical condition, getting life insurance through work may be your only choice, or at least your only affordable one. Since there’s no medical exam, you’re guaranteed a reasonable premium that you may not be able to get on your own. There are some downsides though. One is that you may be limited in the amount of coverage you can get and it may not be enough. The other big one is that you often can’t take the coverage with you if you leave the job, and your employer could also simply decide to stop providing the coverage. It can also be more expensive than individual life insurance if you’re in good health, especially as you age. Basically, getting life insurance through work is convenient, but it’s often not as secure or comprehensive as getting it on your own. But it’s a good place to start, especially if you can get some coverage for free or relatively inexpensively. If you decide to get additional life insurance beyond what’s offered at work, which is usually a good idea, an independent insurance broker can be a huge help. Help you decide how much life insurance you need. Help you find the best price with the right insurance company based on your coverage needs and your medical history. Guide you through the entire application process and help you navigate any obstacles that come up. All of that can make the process a lot easier. The drawback is that it can be hard to find a broker who is genuinely focused on finding you the best policy at the best price, rather than selling you as much life insurance as possible in order to earn himself a bigger commission. You can start by Googling “independent life insurance broker” + your city/state and calling a few of them. Ask them what types of clients they typically work with, what the process looks like, what criteria they use to make recommendations, and anything else that’s relevant to your situation. Trust your gut as you go through this process and make sure to double-check their recommendations at every point along the way. If anything doesn’t feel trustworthy, don’t be afraid to bail. But if you do find a good broker who is genuinely on your side, it can be a big help. A number of online insurance brokers have been popping up recently and some of them are doing a good job of making the process just a little bit easier. My favorite so far (and no, I’m not paid to recommend any of these people), is PolicyGenius. They’re independent, it’s an easy site to navigate, and they help you through the entire process. I’ve also had the chance to meet a few of the people there and I feel like they genuinely care about helping their customers. The downside is that there’s less of a personal touch, though they do have people who can answer questions and help you through the process. And unlike other services that have been taken online, like investing, there isn’t any inherent cost savings. The same life insurance policy from the same company is generally going to cost the same no matter where you get it. Of course, you don’t have to go through a broker to get life insurance. You can go directly through the insurance company. That’s what my wife and I did. We figured out how much life insurance we needed and then we used the quote engine term4sale to figure out which company offered that coverage at the best price. Then we simply went to that insurance company’s site and started the process. With that said, I wouldn’t really recommend doing it this way. There’s no real benefit over using an online insurance broker, and the big downside is that there’s no one to help you navigate the process, answer questions, or re-evaluate if any obstacles come up (like questions about your medical history that significantly change the quoted price). They’ll help you figure out your life insurance need in the context of your entire financial situation, meaning they can better tailor their recommendation since they’re also working with you on your other financial goals. Because they’re fee-only, and therefore don’t earn commissions for selling financial products, they won’t have an incentive to recommend more insurance than you actually need. You’re more likely to get objective advice that’s truly best for your personal situation. One downside is that it will likely cost you more than the other options, since you’ll be paying for the advice on top of paying for the insurance policy (though a good financial planner is worth more than the cost). Another downside is that fee-only financial planners don’t sell insurance, which removes a conflict of interest but also means you still have to get a policy in place once you’ve gotten the recommendation. I have an independent insurance broker I use with my clients to solve this problem and make it easy, but some fee-only financial planners may not have a solution like that. So basically, working with a fee-only financial planner can be the best way to get the best advice, but it may cost more and won’t always make it easier to actually get the insurance in place. Take whatever free coverage your company offers. If your medical history would make it difficult or expensive to get individual life insurance, getting the rest of your coverage through your employer is probably a good idea (assuming you can do that). If it’s open enrollment time and you don’t have life insurance elsewhere yet, consider getting additional coverage through work even if you’re healthy just to make sure you have something in place. No matter what, run some quotes using a site like PolicyGenius or term4sale to see what it might cost to get insurance on your own. If you have a complicated medical history, consider working with an independent insurance broker or fee-only financial planner who can help you navigate the process. If you have a clean medical history, an online insurance broker probably offers the most convenience. 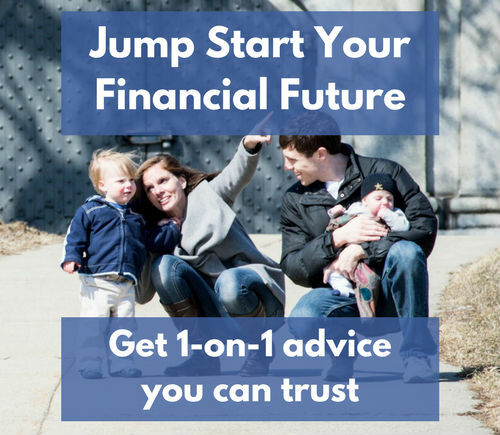 If you’re looking for financial guidance across your entire situation, including your life insurance needs, consider working with a financial planner. There’s a lot that goes into figuring out your life insurance need and getting a policy in place. It’s not an easy or quick process, and as a result it’s one that a lot of people procrastinate on. But life insurance is a crucial part of any young family’s financial foundation. Because it ensures that you can keep providing for the people who depend on you, no matter what. This guide should help you get the right amount and right type of life insurance for the right price. And don’t forget that you can download it as a PDF so that you can work through it at your own pace. And if you have questions, please don’t hesitate to leave a comment below or shoot me an email. I’ve helped dozens of clients figure out their life insurance needs and I would be happy to talk it over with you as well. 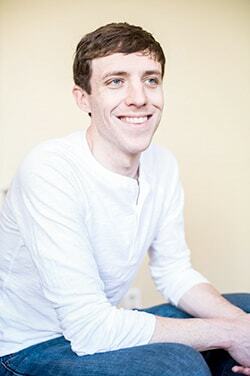 Great article Matt, and very comprehensive. I’ll add a note about layering your life insurance. Another benefit of layering is that if you buy it from the same insurance company, you can save on the policy fee and also benefit from a lower premium with rate banding. At least that’s how it works here in Canada. When I downloaded the excel sheet, under the “Insurance Needed” sheet the “Total need” subtracts “SS Insurance Equivalent” from “Total Insurance Need”. Instead, shouldn’t the formula take the negative “Total insurance need” and add “SS insurance equivalent” to create a smaller amount in the “Total Need” section? Seems like the formula isn’t working. Thanks for reaching out Neil. By subtracting the “SS Insurance Equivalent” from the “TOTAL” within the “Insurance Need” section, you are in fact arriving at a smaller “TOTAL NEED” than you would without factoring in the Social Security benefit. That is, the expected Social Security benefit is reducing the additional insurance coverage needed, which is how it should be working. Please let me know if you still have questions though.